Welcome to the online surf shop of W7, your web store for watersports and more! 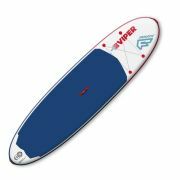 We are specialized on windsurfing, sup, surfing, bodyboarding, kitesurfing and offer a huge variety of equipment, accessoires & more on the internet. The team is always ready to offer you the best possible prices and service for your favorite water sports. If you can not find certain items here in the surf shop - just send a short email! Check out the great selection of premium windsurf brands: Sails, Boards, Masts, Booms and more from North Sails, NeilPryde, Naish, Ezzy, Cheeky, Fanatic, & Co. Whether touring, surfing, full-body fitness training, even windsurfing or small trips on an inflatable SUP: We have the right equipment for you! For more than 10 years, we have sold equipment for water and wind sports. Our surfshop offers both recent and closeout material for windsurfing, kitesurfing, surfing, bodyboarding, skimboarding, SUP & more. 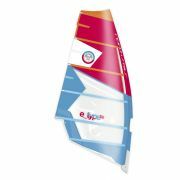 In addition to windsurf boards, you also find sails, masts, booms and accessories. With our wide range of surf products, we cover all classes of windsurfing from freerace, freeride to freemove and wave gear so that our customers are perfectly equipped at the surf spot. Another important domain is all kinds of bags and packs for water sports such as surfboard bags, mastbags, quiver- and sessionbags, rig bags, equipment bags and boardbags, for example produced by Cheeky Windsurf. An extraordinarily popular kind of bag is the Prolimit Windurf Session Boardbag which can not only hold two complete rigs but also a board so that you have all your windsurf gear in one bag. 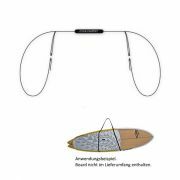 You will also love our huge choice of windsurf accessories and spare parts such as mast extensions, baseplates, harness lines etc. You can also buy waterproof bags, backpacks and pouches in our online surfshop. These are perfect accessories for every water sports enthusiast. This surf sport goes back to 1964 and has been a further development from wavesurfing. The motivation for this was to reduce the efforts of paddling and to use the force of the wind. Hoyle Schweitzer is the name of the inventor connected to the beginnings of windsufing. Many innovations and further developments have made windsurfing to what it is today: A mass funsport. Although it has seen its high times at the end of the 90s, nowadays, the entry lists in surf schools become longer again. The newest development, wind foiling, might give another push to this fantastic sport. This is the very beginning of all surf sports. It is at the same time the surf sport with the least volatitliy when it comes to trends. Crusing on a longboard on long and smaller waves is almost like meditation and a method for keeping the work-life-balance. Or you can make radical turns in the breaking waves on your shortboard. So surfing is also a very versatile sports. Some surfers consider standing on a surfboard as total freedom and as a lifestyle that gives identity. Our surfshop offers everything you need for surfing: Boards, boardbags, socks, leashes, wax and wetsuits. Have a look around. It is the little brother of surfing but nonetheless a big fun in the waves: Bodyboarding. Another advantage is that it is very easy to learn and that the spot requirements are not so strict: You can do bodyboarding almost in any wave condition. Also, bodyboards are smaller and therefore much easier to transport.